Grab a bike and hit the town, Missoula is truly a bicycle friendly community. In 2012 Missoula received a Gold level rating for it’s bicycle friendly community from the Bicycle Friendly America program. 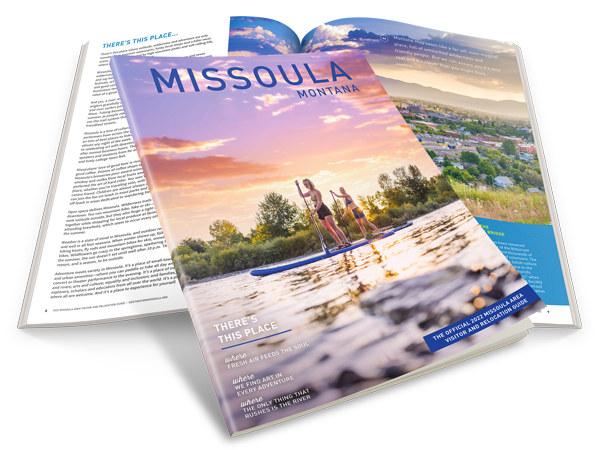 The long history of strong advocates working with visionary policymakers to create a bicycle network, boosted Missoula to the Gold standard. This distinction is reserved for just 16 communities nationwide. (As of 2012) With the recent additions of protected bike lanes, path signage and new bike parking, make this city a model for the state and region. More than 7 percent of Missoula residents commute by bike. A Gold standard for biking communities has only been given to just 16 cities across the country by the Bicycle Friendly America Program. Each year, the League assesses all 50 states. Communities, businesses, and universities are assessed through a voluntary application process. All applicants get customized feedback on their application and access to technical assistance. And if you’re not quite there yet, we’re here to help League. And once you’ve made the ranks of a Bicycle Friendly Community℠, Bicycle Friendly Business℠ or Bicycle Friendly University℠, the BFA program helps you get to the next level. Missoula was also named one of the Top 10 Bicycle Communities by Outside Magazine! While there are only a few cities with the Gold standard for bicycle friendly communities, there are over 200 cities that have received an award on some level. 4 of those cities are right here in Montana, Bozeman, Billings, Helena and of course Missoula. Want to see where your state or city stands on its bike friendliness? Visit the League of American Bicyclists. For more information on bike trails and outdoor activities in Missoula, see our activities page.